AFC - 08/06/10 Stop Political Repression! There is an awful case of political persecution in Austria. Austrian activists are faced with up to five years in prison for using their rights of freedom of speech, freedom of opinion and freedom of assembly. Animal Friends Croatia and the association For the Animals! 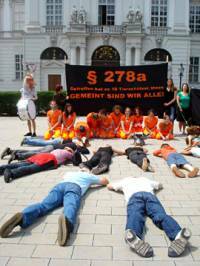 from Slovenia join protests all around the world whos aim is to draw attention to the serious human rights violations in Austria. 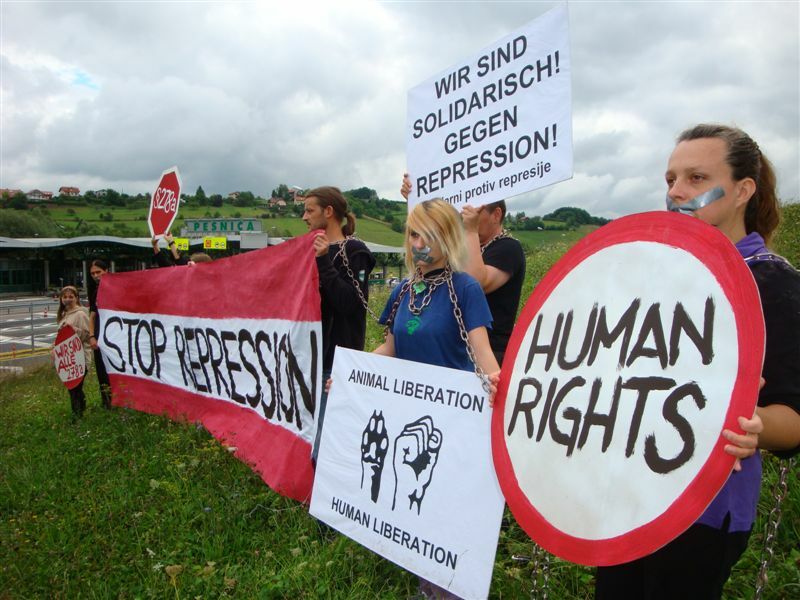 The protest will take place on Friday, October 6, from 12 noon till 1 P.M. at the border between Slovenia and Austria in Donjem Dobrenje at the tollbooth (GPS: 46°36'54",15°39'37"). On May 21, 2008, special units of the Austrian police arrested 10 leading campaigners from the country's successful animal protection movement. The activists, among them a former research assistant at the University of Cambridge, Dr. Martin Balluch, were put on remand. The Ministry of the Interior boasted they had hunted down a criminal organisation responsible for numerous cases of arson, gas attacks and bomb threats. However, the imprisoned activists insisted that the prosecution files they were eventually given access to contained absolutely no evidence of any criminal offence but rather a description of their campaigning for changing laws and business policies. One of the prisoners went on hunger strike and stayed without food for 39 days. Fierce criticism came from many well-known personalities and organisations, including Amnesty International. After more than three months, a senior state prosecutor ordered release of the activists, saying the time spent in custody must be in proportion to the expected sentence. This drove away most of the public attention, but the case wasn't over. 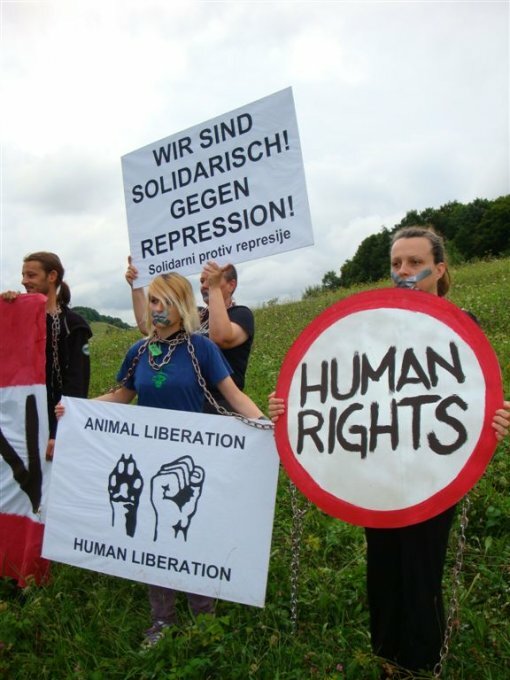 In February 2010, the state prosecution announced that enough evidence had been found to put 13 animal protection activists, including the ten who had spent three months in custody, on trial. Four defendants have decided to publish the charge sheets on the Internet. 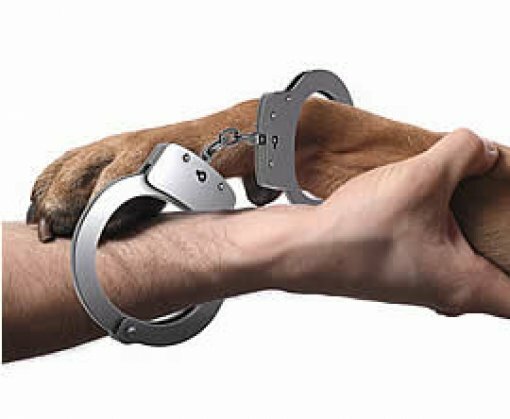 The indictments contains nothing that would be evidence of criminal activity. However, in order to bypass the lack of evidence, the prosecution uses vague wording of Article 278a of the Austrian Penal Code, which is used for the prosecution of the Mafia. "Criminal thinking" of the activists was used as evidence of their alleged membership in a criminal organisation, and that alleged affiliation is proof that their legal action to protect the animals is – criminal. Additional absurdity is the prosecution's statement that even organized protests are one of the alleged criminal acts. Thus, evidence of the alleged membership in a criminal organisation are taken from a list of many legal and public actions that the activists performed, such as organising public conferences and demostrations. The process was launched in March 2010 and it is predicted to last until 2011. Each of the activists is threatened by imprisonment of five years and payment of court costs and attorneys' fees of over 35.000 euros as those costs will not be returned to them regardless of the result of the process. Stefan Traxler, lawyer of the five defendands, including Martin Balluch, doubts the fairness of the process. Specifically, in his 14 years of practice, never has he been so often interrupted by the judge with the reason of rejecting the presented evidence, including all proposed witnesses. As the process progresses, it is obvious that the prosecution has no evidence that this is a criminal organisation. Also the Austrian public starts to realize this and more and more stand by the accused activists. 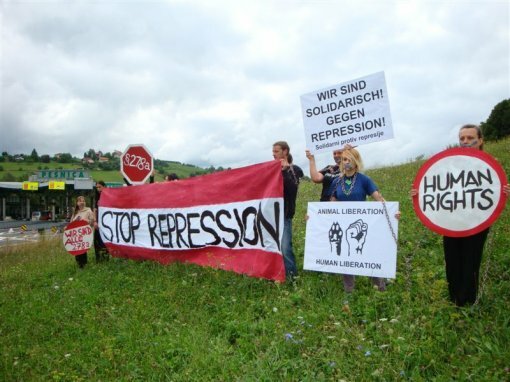 The biggest apsurdity is that the activists are being tried under Article 278a, which accuses them for terrorism, while the activists fight exactly against terrorism – terrorism that is implemented on the animals, through legal actions and political activism. 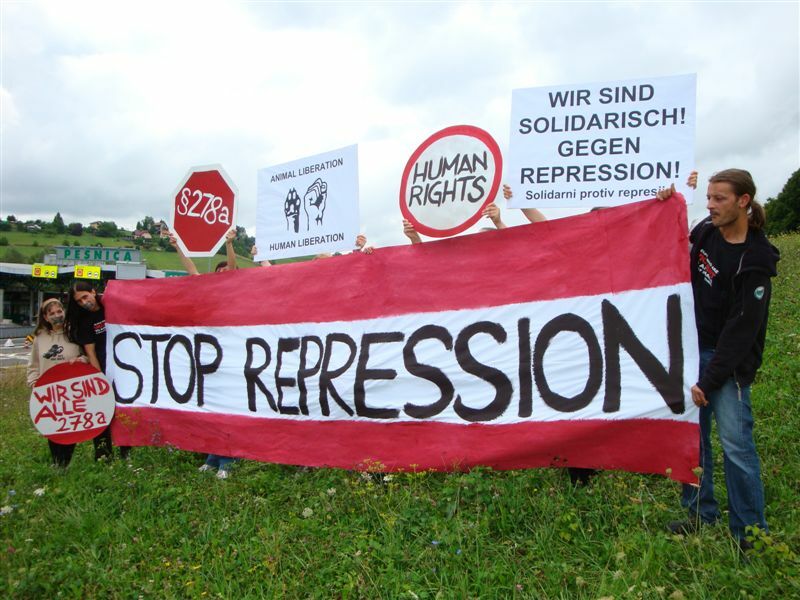 Austria should not carry out this shameful persecution of activists nor should the world allow threaths of financial collapse and imprisonemnt of people because of their politicial activities, which violates basic human rights.